i have been reading til my eyes dry up and i realize that making their cage as native as possible will make them very happy. so i want to get a gum plant, acacia plant and eucalyptus plant. from what i been reading any type of eucalyptus will work...but idk about the other two and i need a plan B for plants bc the native plants will be difficult to grow IF they grow at all and im trying to figure out substitutions if plan A fails. It sounds like it would look nice, but I have a question. How were you planning on placing plants in the cage? I ask because if you plan on having/growing actually plant inside the cage, you could end up with a huge mess, dirt everywhere. Also, I'm not sure about soils that are used for potted plants, I don't know what they contain or if they'd pose a problem for gliders. Hopefully someone could step in here that has better knowledge. I understand you'r idea of a more naturalistic environment for you gliders, it's a wonderful thought, and I'm sure would be loved if done properly. Unfortunately, I cannot help with your initial questions either, but I did want to ask what exactly or how you wanted to set this up in the cage. You could, grow them externally from the cage and place branches and/or cutting inside, giving them the natural environment you're thinking of. Adding plants to most of the widely used cage options may not be a good option. Plants small enough to fit in a glider cage will not survive long because it is very likely that the gliders will strip the bark and leaves from the small plant and it will not be able to continue growing. The glider would be able to contact the soil in the pots. 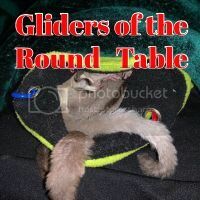 Most potting soil contains fertilizers and other additives that might be hazardous for gliders if they ate any of it. You would need to design a type of cover for the soil to keep the gliders out of the dirt and also from crawling under the cover. If you have a large walk in cage you might be able to start out with mature plants that would tolerate the abuse gliders can give them. You would still need to secure some type of cover over the pots to keep the gliders out of the soil. Another option might be to get some eucalyptus branches from here for your gliders to enjoy. I agree that having the live plants inside of the cage would be difficult and pose issues. However, if you successfully grow these plants it would be a great idea to offer them cuttings from the plants. That would eliminate the mess and prevent them from killing the plants. You can also do this same thing with our native plants. Just ensure you have checked the safe/unsafe lists beforehand. Also ensure that they haven't had any chemicals sprayed on them in at least 3 years. For a list, you can scroll to the bottom of this page and download the document. I agree that live plants in the cage is probably not a viable option. However, I always had fresh large apple branches in my cage. I'd cut fresh and replace the old ones every so often and they loved ripping the bark off of them. Also the eucalyptus branches, noted above, are a good option. I kept a couple of large rocks on the floor of the cage as well. Last edited by yiyo; 11/14/14 09:04 AM.